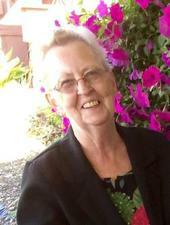 Janis A. Walker, 72, of Oxford passed away on Aug. 9 at her home. Born in Monroe, La., she was the daughter of the late Richard Paul and M. Eleanor Long Walker. She was the wife of David W. Buckley, with whom she shared 25 years of marriage. She was employed as an executive assistant to the Vice President of Academic Affairs at Lincoln University, and retired in 2010. For the last two years, she was employed as an executive director with the Oxford Area Chamber of Commerce. She graduated from West Chester University with a degree in education. Janis taught at Kennett Middle and Elementary School. She was a member of Community of Love Lutheran Church in Oxford. She enjoyed reading, gardening, cats, crochet and her grandchildren. She is survived by her husband; one daughter, Christine D. Watson of Rhode Island; three stepchildren, Kevin Buckley of Pottstown, Sauna Miller of Kirkwood, and Brendan Buckley of Oxford; three grandchildren, Nola, Chase and Brooklyn; and two sisters, Jean Wolf of Owings, Md., and Julie Walker of North Potomac, Md. She was preceded in death by a son, Daniel T. Watson. A memorial service will be held at 11 a.m. Saturday, Aug. 20, at the Community of Love Lutheran Church (117 N. 4th St., Oxford). Interment will be private. In lieu of flowers, donations in her memory may be made to Oxford Area Chamber of Commerce Scholarship Fund, PO Box 4, Oxford, PA 19363.